Building off of their flagship salsa products, De Casa Fine Foods wanted to expand their offerings. 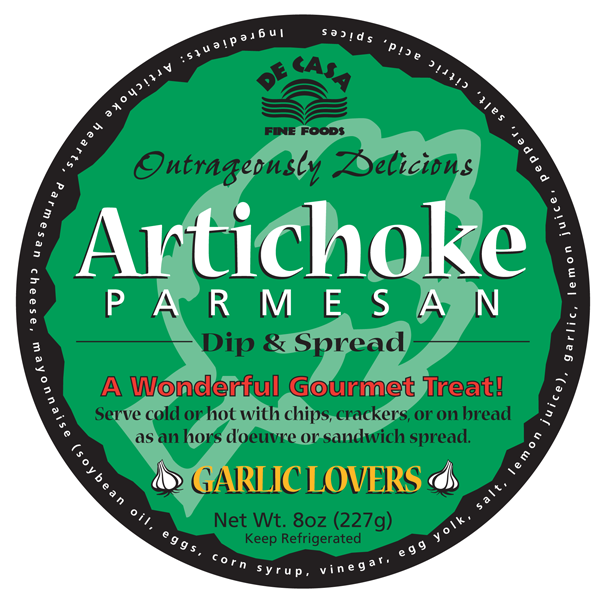 They did so with a series of Artichoke Dips as well as the Roasted Garlic Sundried Tomato Dip. The Tofu Paté product – intended to compete with the locally famous Toby’s brand – was never launched. Copyright © 2019 Springer Design & Illustration | Eugene, Oregon | All rights reserved.